A balance of all-terrain traction, aggressive styling and on-road manners is all available in one tire for today s SUVs and 1 2 ton trucks. 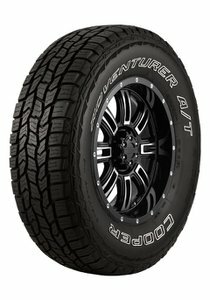 The Adventurer A T integrates a tread and siping pattern that handles wet, dry and off-road conditions while providing dependable mileage and a quiet ride. 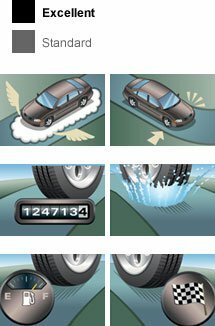 The all-terrain, silica-infused tread compound increases grip while the enhanced sidewall improves handling. An all-terrain tire for wherever you want to go.